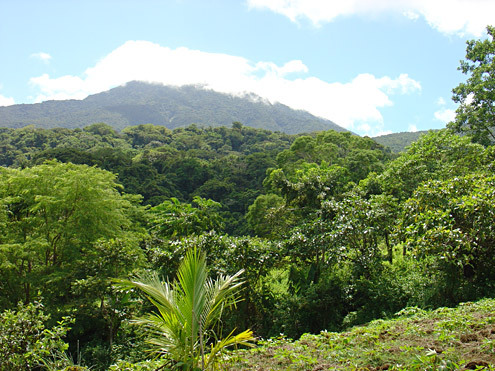 The presence of natural forest of nearly any type has great beneficial effects on watersheds. Hills and mountains that are protected from logging have ground cover in the form of live plants and dead leaves that break the impact of rainfall, and deep soil that absorbs the rainfall, thus transferring much of the rain into groundwater that is gradually released downhill. 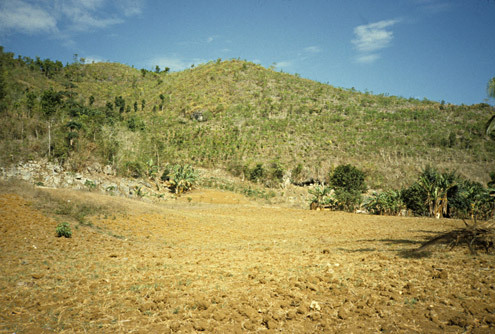 Where natural vegetation is absent, floods during the yearly heavy rains lead quickly to erosion and other economic damage. 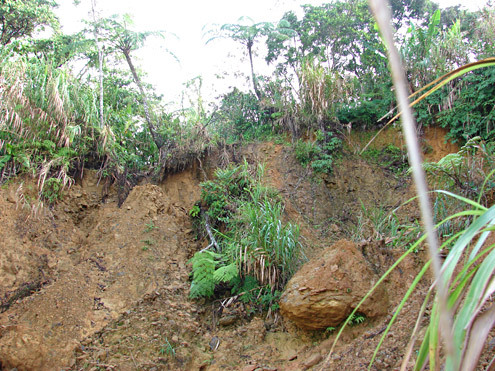 The adjacent photos from the Chocolate Hills of Bohol show this clearly. 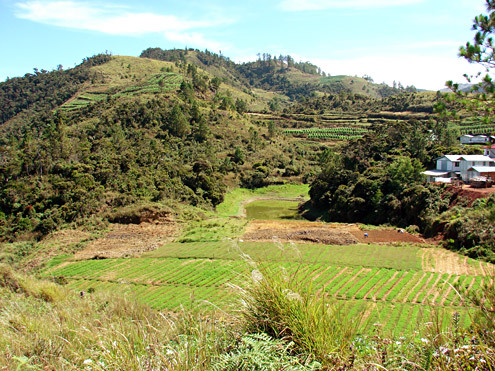 In many areas, irrigation water for fertile lowland cropland originates on nearby high mountains, where rainfall is two to four times higher than in the lowlands. In some places such as Mt. 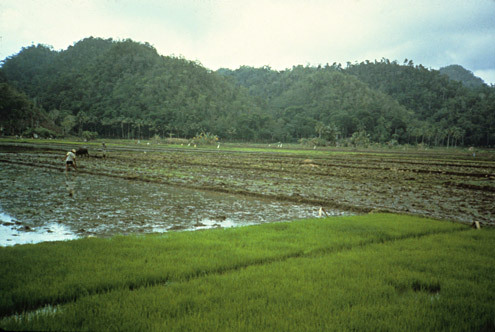 Banahaw, farmers’ cooperatives have worked with government agencies to designate formerly denuded slopes as watershed reserves, and the regenerating forest functions very effectively as a functioning watershed for crops and urban use, while also providing habitat for wildlife. 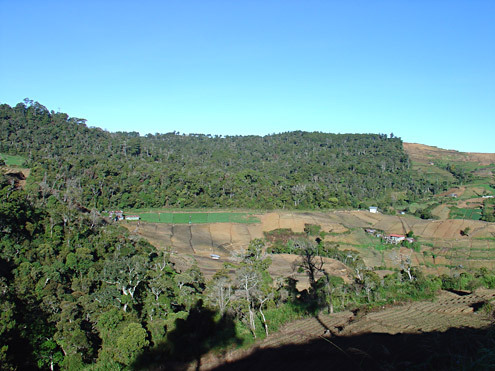 The forest in the foreground in the adjacent photo includes the secondary forest where Musseromys gulantang was discovered in 2006. 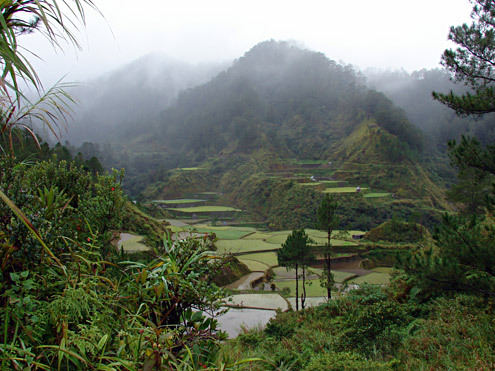 Within the mountains, especially in extensive mountains like the Central Cordillera, traditional cultures that grow rice in terraces have emphasized watershed protection because this allows the long-term stability of the community. Where high-value vegetable crops are being grown, some of the traditional land management practices are being lost, causing problems with increasing erosion and flooding. The contrast between protected watersheds and adjacent vegetable farms is often quite stark. 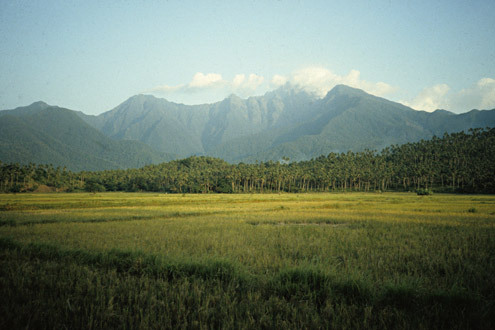 Additionally, recent research has shown that pest rats (Rattus exulans and R. tanezumi) that are abundant in cropland and burned areas do not occur in primary or secondary forest; instead, such native small mammals as Apomys datae, Archboldomys kalinga, and Chrotomys whiteheadi live in the forest, and do not cause damage to crops.